Rory O’Connell from Annaduff NS was yesterday named as the winner of the Connacht Provincial Spelling Bee 2018. The much-anticipated final took place in the G Hotel in Galway yesterday and Rory came out on top, taking first place against four talented young Bees with the word, Capitulate. Rory will now move forward to compete in the All-Ireland Eason Spelling Bee final in the Helix in Dublin on Thursday, June 14. The Eason Spelling Bee encourages children throughout the country to practice their spelling, to read more and strives to instill greater confidence when it comes to literacy and spelling, from a young age. Each year the competition begins with registered schools hosting their own in-school Bee competitions, to find their school champion. From there, the Eason Spelling Bee team hits the road to host the County Final Bees, which then leads to four Provincial Finals. The winning school will receive a collection of books for their library to the value of €7,500. 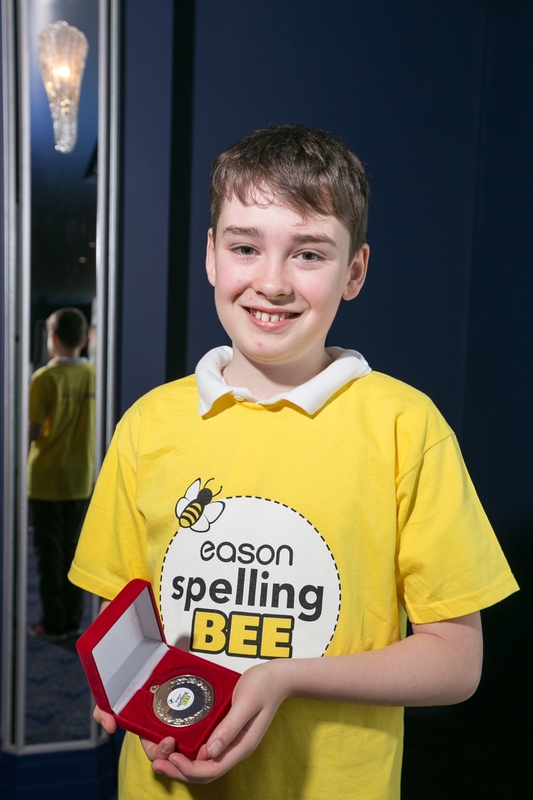 The Spelling Bee winner will be awarded books worth €500 and the prestigious title of the 2018 Eason Spelling Bee champion. Keep up-to-date with all the 2018 Spelling Bee news on www.easons.com/spellingbee.